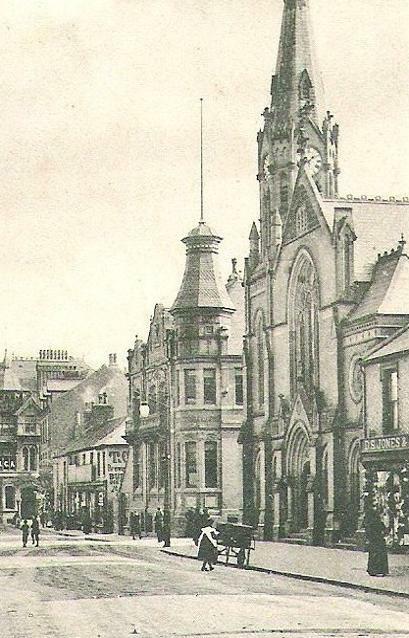 The Wesleyan Church built on the corner of Abbey St and Stratford St. The Old Chapel further up Abbey Street was still put to good use, it became the Sunday School for the next three years, until it became over crowded and they knocked it down and a shop next door to form the new bigger and better functioning school for its pupils. The school's foundation stone was laid on the 14th August 1876 during the Superintendancy of Rev J P Lockwood. It has been mentioned a few times that the Church was built on bad foundations, this wasn't the only problem the acoustic's were so bad that the preachers voice echoed in a most confusing manner. They spent close to £500 trying to shore up the walls with rods and adding a choir gallery to help with the sound. The society was spending money on a building that still showed signs of subsidence and a great chance of the walls falling in, plus with £600 still owed on the build, they needed help. Up stepped Reginald, he had already built a fine home for the local Minister on Coton Road called Wesley House, pumping his own money and many of his creations into making the church a focal point in the town. Frederick John Yates the architect in many of Stanley's projects was brought in and they increased the size of church to 800. 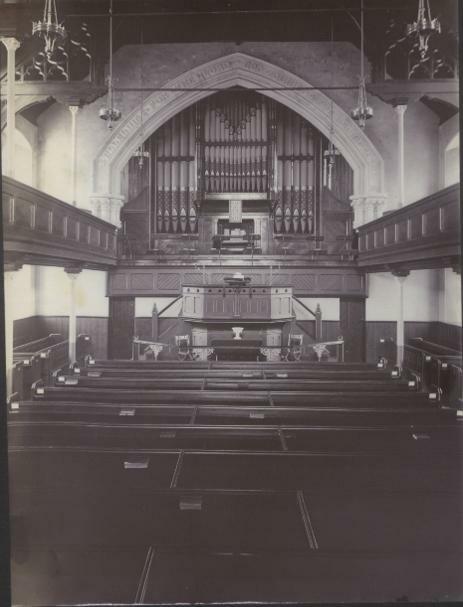 Many new features were added to the church, like two new organs, upper balcony and electrical lights (at a later date). 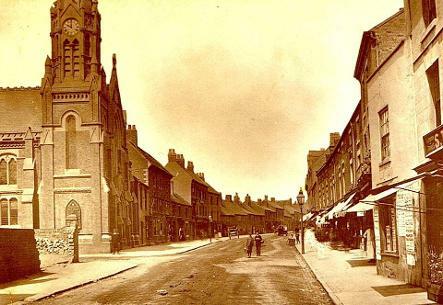 A spire was added to give it an notable finish and what a mighty impressive building they had that towered above the Nuneaton skyline. 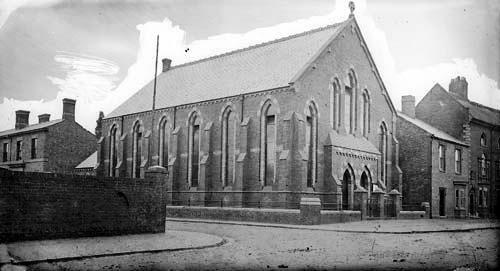 The opening service took place on 26th April 1891. Rev Dr W T Davison took the sermon, he was married to Reginald's sister Frances. The new organ's where given the green light on the 30th April, Richard Train a friend and worker of Reginald looked after the organ and the choir. A great photo of Abbey Street showing life in motion. In 1963 The Wesleyan Methodist Church decided to sell both the Abbey Street and Queens Road Churches. A firm from London paid £31,000 for Abbey Street and it was knocked down to make way for new shops. The building didn't want to go without the last word, an amazing discovery was made in the foundations. Below the memorial stones laid firstly by J Roberts & S Jevons in 1872 and then Rebuilt by R Stanley in 1891 was a stone jar and two blue bottles. Inside they found various coins dated 1864, plus copies of newspapers from the local area and various Wesley Church magazines. (3) I wonder where those bits ended up? 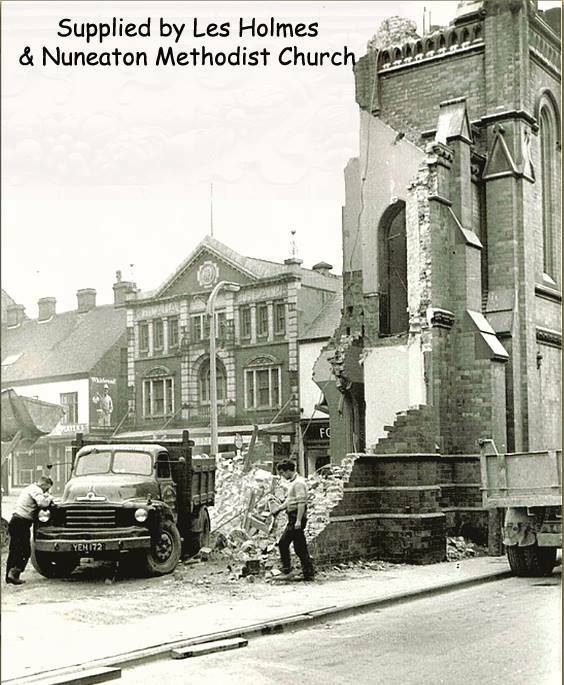 As the swinging sixties appeared so did a new era for the Methodist's of Nuneaton. The circuit had sold off both Abbey Street and Queens road churches and by 1962 they were sold and the last service was taking place at the Wesley Chapel in late February. Superintendent Minister, the Rev F Payne addressed the packed congregation for the last time and told them 'You who have worshipped in it and known its history must find this a sad and painful experience. For the church enshrines and expresses for you the most precious moments of your life. You have enjoyed friendships here, some of you have married here and at this moment those memories all come back'. He carried on by mentioning that just because this door was closing another one opening and those friendships and contacts can continue bringing along the memories of the past and turn them to good account. The Church had the vision of a new church in their mind with 'new oppotunities, new accommodation, new possibilities and a new outreach to the people of this town.' After this last service Rev Payne announced that the Queens Road Church in the future would now be known as St John's Methodist Church. This name was to follow to the new Church that was being built on the original site of the first Methodist Church over 125 years ago.